My husband LOVES this coat! Since we live in a colder climate, it was the perfect Christmas gift. He’s a guy with broad shoulders and it fit really nice. It is his favorite gift that I got him. 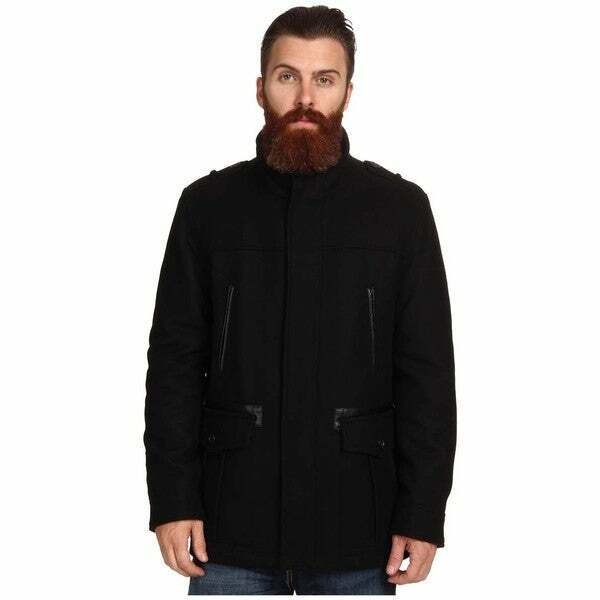 Top business or casual outfits with this men's black wool car coat. Four front pockets offer storage, and a zipper closure and stand-up collar provide protection against the cold.